So I have been told by some, that a few of my blog post are a little wordy and I certainly value that feedback. Unprecedented Mediocrity will be place where all readers can find something that brings value to their day in the format they desire. So in this case, I will blog under 500 words for those needing a quick post for their busy day. Doug Nelson, great friend and business owner at Nelson Carpet Cleaning, mentioned the need for some quick posts. So this is for him. As a by product if anyone needs the cleanest carpets or tile this side of the Mississippi, I recommend checking him out. His services are the reason we keep putting off buying new carpet because his services make that new carpet conversation irrelevant. So here we go. As a father of a 5yo, I have been subjected to many kid shows over the years. So here are my top 5 that I enjoy watching along with them. 1. 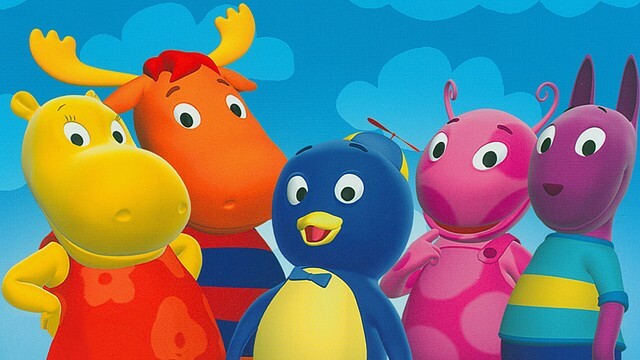 Backyardigans – I like this show. It has music, excellent choreography, good life lessons, and tie ins to themes adults can enjoy. Basically, you have some backyard friends who get together and imagine any world they want to go. One episode might be in outer space, while the next is on a viking ship. Great stuff, you never know what to expect. I have even asked my daughters if they want to watch Backyardigans when picking a show, to which they said no. To which I said, too bad, we are watching Backyardigans. So they are number 1. 2. Mickey Mouse – Now here is where you have to be tricky. These days you have to start the kids out on Mickey Mouse Clubhouse. The soft modern version with toodles. However, if you are savvy enough, you can pull the switch on them to old school mickey mouse. In Old school Mickey Mouse, you see Mickey wielding a shot gun, Pete smoking a cigar, and tough themes such as mickey, donald, and goofy getting evicted for not paying rent. I figure these cartoons didn’t mess me up, so get the kids involved in these shows, and you can have mutual enjoyment with your kids. 3. Sophia the First – Its a girls show, but did I mention I have two daughters. Now we recently made the switch to dropping cable, so we have been without the Disney channel or Disney Jr. Lately. However, this was a great show. It ties in to all the old Disney movies and that Sorcerer Cedric is always up to some sort of shenanigans. I also learned the whole theme song due to watching it so much and I would hate for that skill to go to waste. 4. Pound Puppies – At 450 words here Doug, so gotta be quick. Pound Puppies harkens back to WW2 POW shows. Great stuff. Think Hogan’s Heroes for Dogs. 5. Littlest Pet Shop – Man, its a good thing I’m finally have a boy. There you go Doug, 494 words. Parents feel free to dispute my list.